Having once appeared on ‘At your Service’, the Brennan brothers gave the hotel advice on how to improve this family owned Three Star hotel. Ten years later, the Dublin Skylon Hotel has become a Four Star Independent 126 bedroom hotel with the freedom to express their individuality and Irish character. 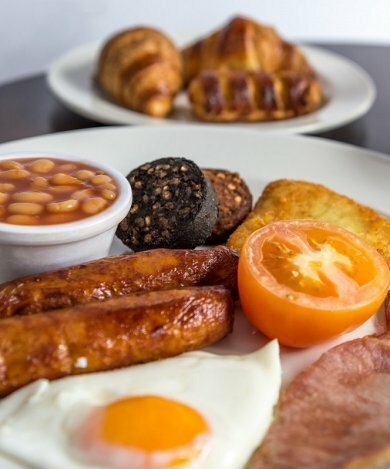 The hotels location is as desirable as the hotel itself, being in close proximity to the City Centre, 15 minute walk to Croke Park and only minutes away from Dublin Airport as well as having an on-site car park available to their guests. Enjoy a luxurious stay in one of the guest bedrooms that includes stylish Respa beds, Free fibre optic Wi-Fi as well as many more features & amenities to make your stay that bit more enjoyable. Pay at the Hotel, FREE Cancellation, FREE Late Check Out. City Hotel of the Year 2019! !To celebrate enjoy 10% off Any Date, Any Rate, Any Room!! To celebrate enjoy 10% off Any Date, Any Rate, Any Room! !